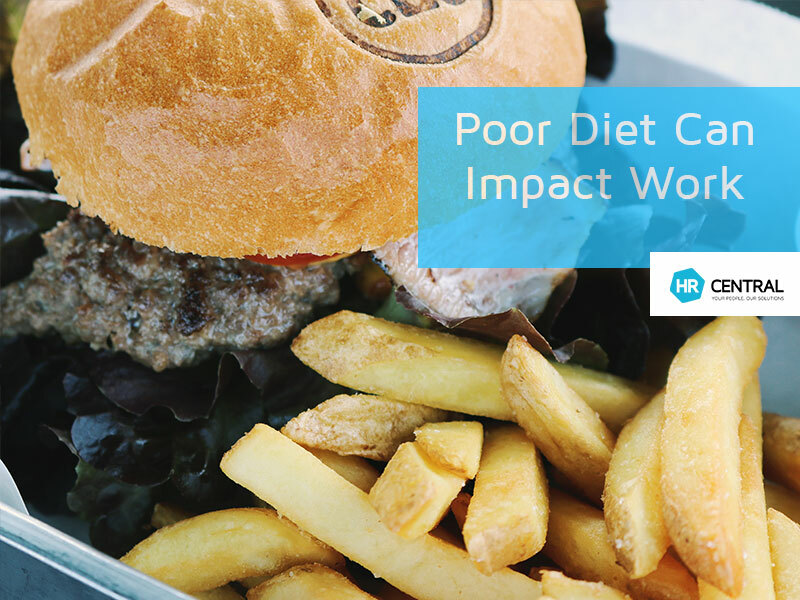 Poor diet can impact on work, seriously! We all know that eating a healthy and balanced diet is an essential component of maintaining our overall health. But did you know that what your employees eat has a direct impact on their productivity? In most workplaces, there is easy access to vending machines, snacks and other junk food. And of course, coming up to the Christmas break, when there are parties/functions as temptations to over-indulge. Supporting improved nutrition among your staff is about more than reducing absenteeism. It’s about increasing the ability of your employees to be fully engaged and mentally focused on their work. Sluggishness can lead to mistakes, lower output, lost innovation and even workplace accidents. Therefore, if you’re serious about productivity and performance in your workplace, then making it easier for your employees to make intelligent decisions about food is essential. So how can you as an employer support improved nutrition among your employees to harness improved productivity? Like every aspect of your business, change starts at the top, meaning you need to model good nutritional choices in addition to making healthy eating the easiest possible option for your employees. When catering in the workplace, provide nutritious and healthy options such as fruit platters, nuts, sushi and salads over pastries, pizza and burgers. We live in such a wonderful, multi cultural country, full of fresh produce and there are so many delicious healthier food options – such as Vietnamese, Japanese, Street Foods etc, so availability is certainly no issue/excuse. It is also of note to keep in mind that incremental changes will be more readily accepted among your teams rather than a radical, overnight overhaul. And, like any change initiative, communication is key. Talk to your employees about the importance of nutrition at work, find out what is important to them and the initiatives they are more likely to support before implementing any changes. Often changes such as these are more effective in a group, so the office environment is the perfect place to encourage and educate each other on improving diet and therefore health and productivity! It’s a win/win! Team Building: Friend or Foe?